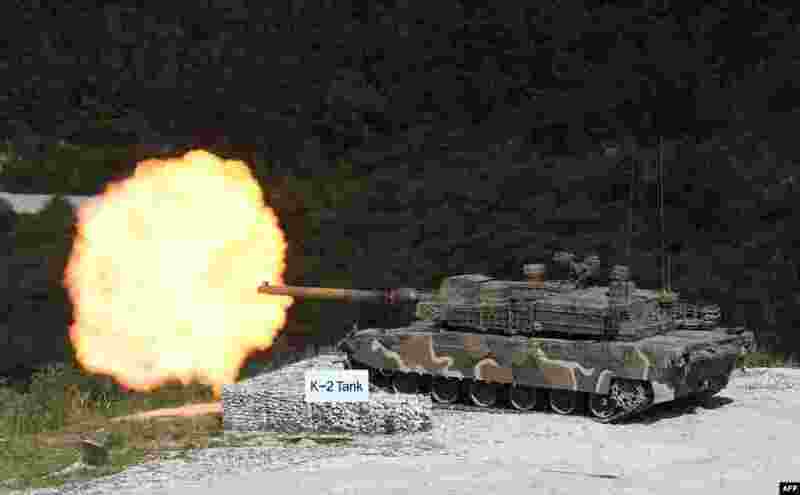 5 A South Korean K2 tank fires during a live fire demonstration for a media preview of the Defense Expo Korea 2018 at Seungjin Fire Training Field in Pocheon, 65 kms northeast of Seoul. 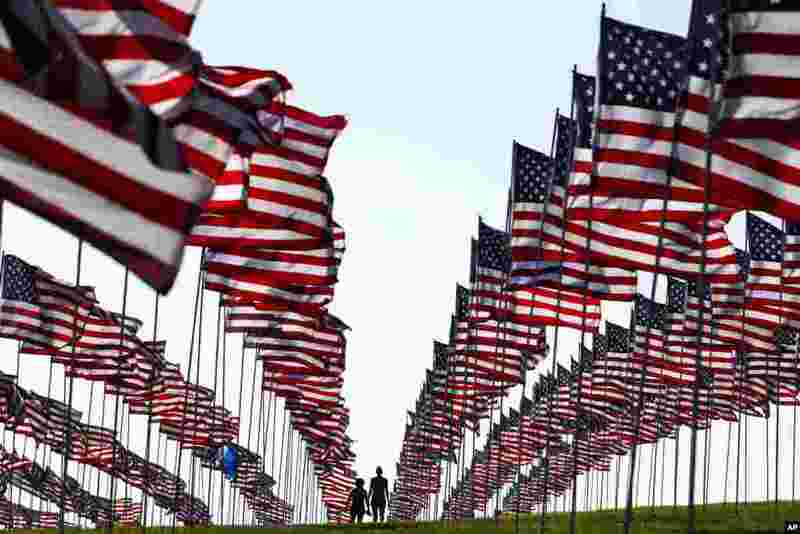 6 Bianca Burton, center left, and Erin Schultheis walk around the Pepperdine University's annual display of flags honoring the victims of the 9/11 terrorist attacks, Sept. 10, 2018, in Malibu, California. 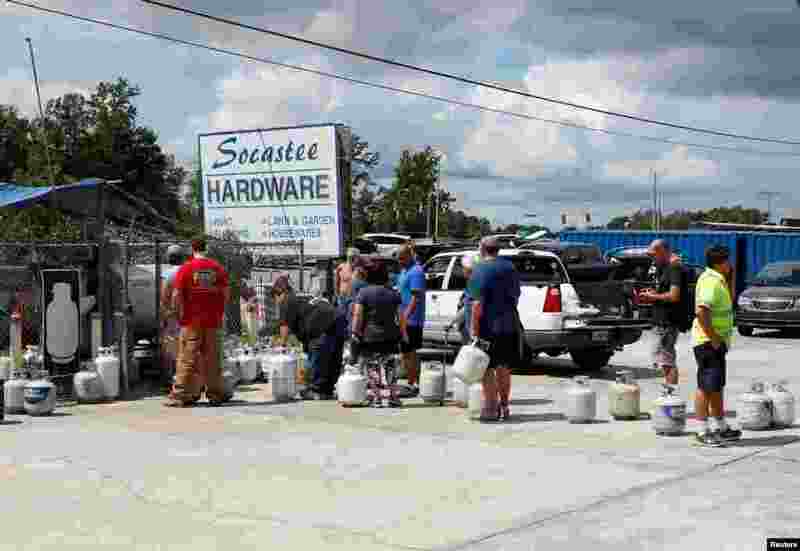 7 Customers line up to buy propane at Socastee Hardware store, ahead of the arrival of Hurricane Florence in Myrtle Beach, South Carolina, Sept. 10, 2018. 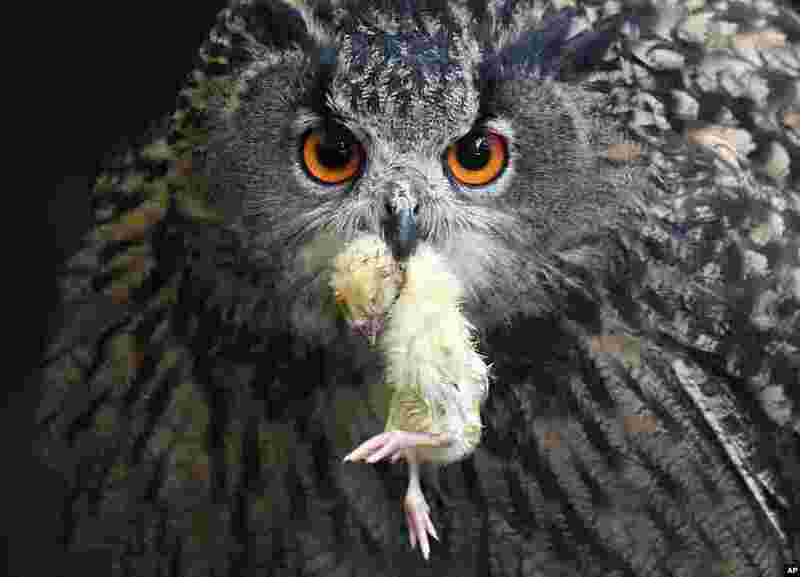 8 An eagle owl holds a little dead bird in his beak at his enclosure in a park in Essen, Germany.